We already know that YouTube is seeing 3 billion videos viewed per day day, but now the online video giant is now seeing a whopping 800 million people per month visiting the site, Google revealed in its third-quarter earnings report last week. 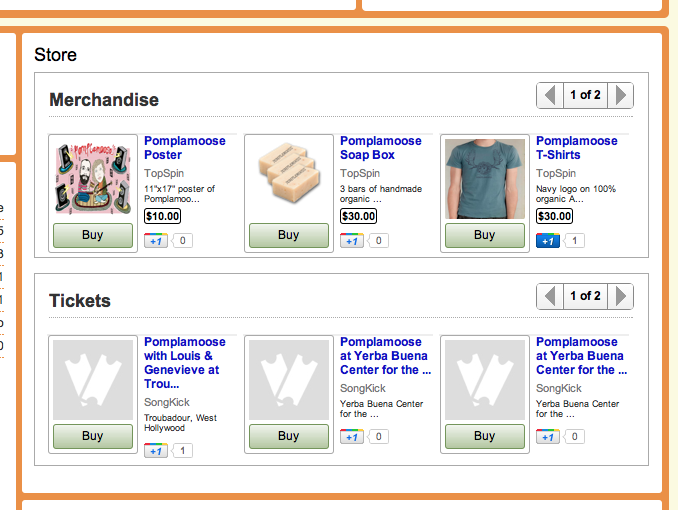 And today, YouTube is also announcing the ability to sell merchandise, tickets and more via the site. Through a feature called the Merch Store, YouTube partners will be able to sell artist merchandise, digital downloads, concert tickets and other experiences to fans and visitors. YouTube has partnered with a number of companies to launch these stores. Topspin is helping power merchandise sales, concert tickets and experiences; SongKick will help sell tickets for concerts; and iTunes and Amazon will power transactions for music downloads. YouTube says be rolling out the Merch Store to music partners globally over the coming weeks. YouTube declined to reveal the specific nature of the financial split for these sales, but did say that the site takes a small percentage of sales just to cover costs. However, the artist gets the same revenue no matter if they go through the Merch Store or through the affiliate on other channels. The ability to add merchandise sales, ticket sales, digital downloads and more to an artists YouTube site definitely gives these sites more of an engaging presence for artists with their fans. These destinations will now become more than just a way to discover music videos, but also a way to transact business and actually see the artist and buy their works.